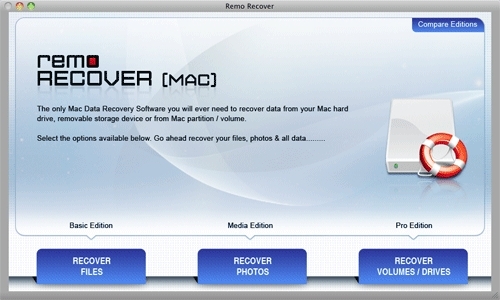 Remo Recover (Mac) - Pro Edition supports recovery from HFS+ HFSX volumes. 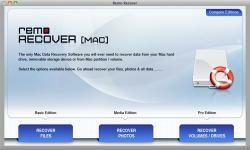 With its powerful volume search that helps to locate lost or deleted volumes from Mac drives. It also has the ability to recover deleted lost digital photos RAW photos music and video files. Option to preview files before recovery provides ability to evaluate the chances of recovery using free trial version:Benefits:- Extremely fast scanning algorithms to find and recover data from deleted lost Mac volumes- In-built volume scanning engines to recover data from accidentally formatted Mac volumes- Recovers data from HFS+ HFSX FAT16 and FAT32 partitions volumes- Recover files from IDE ATA SATA SCSI Mac hard disk drives SD Cards CF Cards XD Cards Memory Sticks external Zip drives FireWire Drives iPods and USB hard drives.